1864 is a significant year in the history of the region, with an influence that is still trickling down to the present day. This is the year of the second Schleswig-Holstein war, when Denmark fought Prussia for control of the duchies in this region. One of the most well-known battles from this war is the Battle of Dybbol on the 18th of June. However, for Als the defining moment is the 29th of June, when the Prussian army crossed Als Sound in the early hours of the morning and managed to take over Als. Als remained part of the Prussian/Germany lands up to the referendum of 1920. For a long time the wounds from this war cut quite deep to the people living in the region. However, over the years the wounds of this war have abated such that the region is finding it in itself to commemorate the happenings. One of the ways this is done is by the now yearly ‘Kampen Om Als/Battle of Als‘ reenactment. Kampen om Als was first held last year in order to promote interest in this event that helped define the Danish lands. 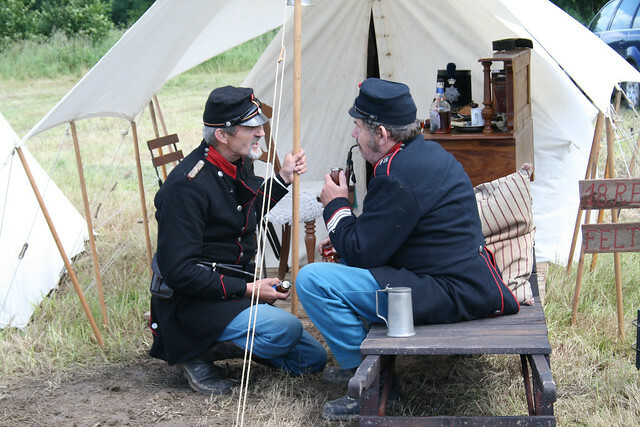 The reenactment consists of the setting up of a historical soldier camp on the last weekend of June, with a reenactment of the crossing of Als sound. The soldier camp is set up on Kær peninsula on Als. 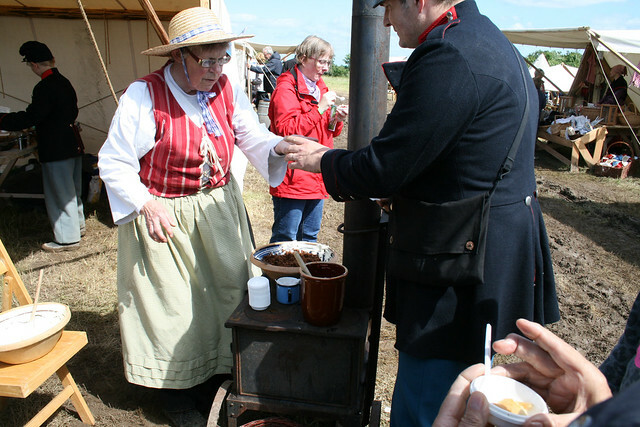 This year there were plenty of activities going on in combination with the camp for people like us who were not actively participating in the reenactment. There was food to taste, gunpowder to smell, soldier tents to see and loud bangs from firing guns and cannons to be heard. This being the second year the size of the camp is not too big. Therefore, you can get the time to enjoy every aspect without feeling overwhelmed by it all. This was the highlight of the reenactment for us and, probably, most of the participants. We arrived on site around 2:30am, waiting for the crossing to occur at the historically accurate time of 3am. In preparation for the crossing pictures from the time were beamed onto a sheet, setting the atmosphere for the 300 or so observers. Soon after Bjørn Østergaard started a commentary about the events of the day, what we were going to participate in and what we were seeing that continued throughout the whole event.This was probably what made the reenactment for me as it helped me understand what I was seeing and why it was significant (even with my basic Danish!). At 3 am boats ‘Prussian troops’ started crossing over towards Als. It was still dark so they were very hard to spot. No wonder they managed to over run Als! Once they were spotted the shooting extravaganza started. There was shooting at the boats, a battle between the Danish and Prussian on land, and the arrival of the Danish navy boat Rolf Krake. The real army, who was responsible for letting off the explosions, together with sounds and flashes, sure seemed to have had a great time preparing for this! Next year is the 150 anniversary of 1864. This means bigger (and better things). It is already expected that next year will see around 3 times more reenactors than this year. Do keep an eye out on the website to hear about plans for next year. We will also be writing more about the event as we get closer to the date. 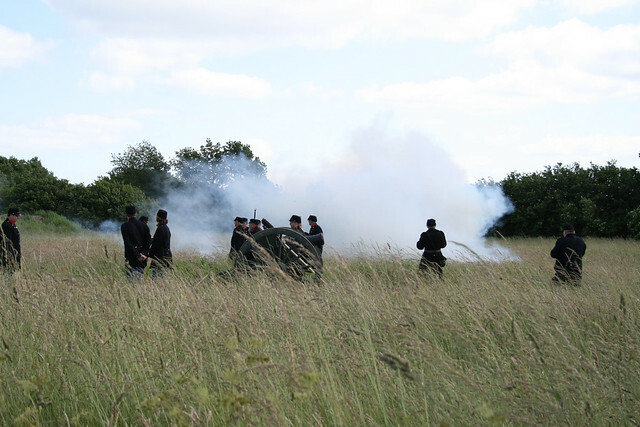 In the meantime, if you are interested in the 1864 war, do keep an eye out on the 1864live twitter account, which is publishing short snippets about the 1864 war as they happened – with a 150 year delay. This entry was posted in Outdoors and tagged 1864, als, Battle, dybbol, Kampen om Als, reenactment, Schleswig by Ann. Bookmark the permalink. 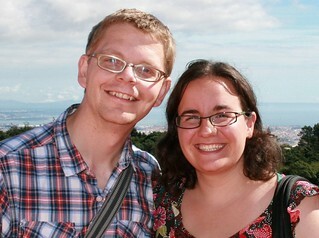 Especially loved your bogs on heating Sonderborg and camping in Denmark. I had an hilarious experience with the former and found the latter so civilized as not to be camping at all. Hi Sue. I haven’t heard that story about the ice age. We really need to check it out! You are right about camping. Not sure I would call it camping either – it is so civilized! Thank you for visiting our blog, and hope Sønderborg is treating you well. The weather hasn’t been the greatest this weekend, so I hope you were here last week when it was great too.